The Brandon Williams-helmed project Chastity hails from Whitby, ON, and its latest video addresses the city's systemic racism that was brought to light with the case of Dafonte Miller. In December 2016, 19-year-old Miller was beaten with a lead pipe by off-duty Durham police officer Michael Theriault and his brother, who also prevented the young man from calling for help by interrupting his 911 call. The brothers' father (a former Toronto detective) then allegedly interfered in the investigation; both Durham and Toronto police have been accused of being involved in a cover-up of the entire incident. 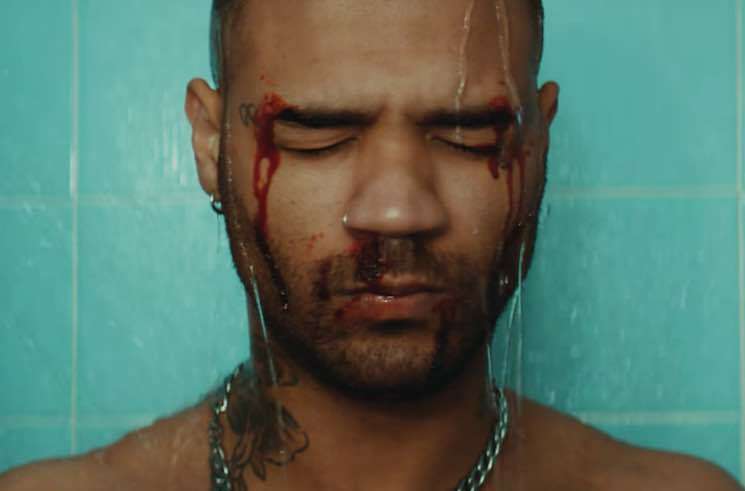 The initial incident and ongoing court proceedings served as the inspiration for Chastity's "Children" video, which features news footage about the case, as well youth's outraged reaction to it. "This is a close-up on the practice of institutional racism that's revealed itself in my hometown by members of the police," Williams told NPR. "John, Christian and Michael Theriault, Toronto and Durham police are a threat to public safety. Black Lives Matter. How much do black lives matter to police?" Watch the clip for "Children" below. Chastity's debut album Death Lust is due out July 13 via Captured Tracks/Royal Mountain Records.